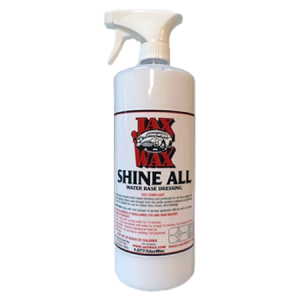 Jax Wax Leather Magic is a professional “One-Step” product to gently clean, condition and protect leather surfaces. 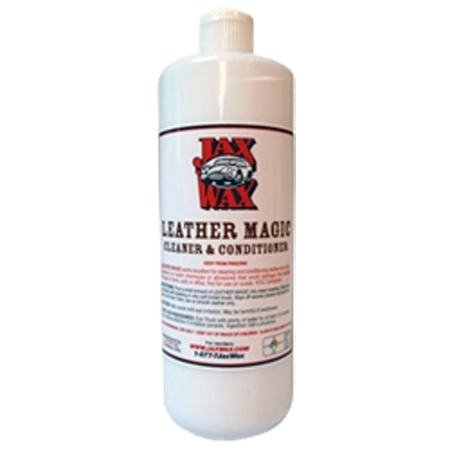 Jax Wax Leather Magic doesn’t contain any harsh chemicals that could damage fine leather. 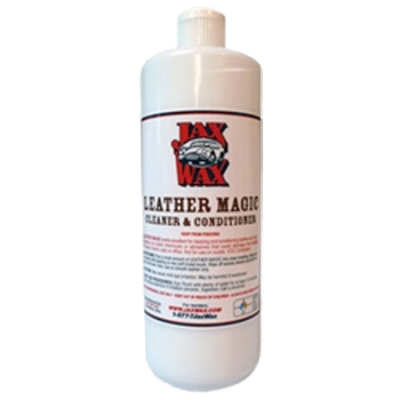 Jax Wax Leather Magic gently cleans leather surfaces – and at the same time – conditions and restores the ”Suppleness” which is key prevent leather from drying out and cracking.Jax Wax Leather Magic also protects against harmful UV rays, is scented like leather without being overwhelming, dries completely and doesn’t leave a “greasy” finish. For use in home, auto or office. Simply Wipe On and Wipe Off!The sole key to preserving and keeping a leather surface factory fresh is to keep it Supple. Leather much like your skin, needs nourishing, just like when you apply lotion on your skin to help keep it from drying out during extreme temperatures and dryness. If Leather isn’t treated and conditioned, it will dry, crack and fade. If your leather is stained or heavily soiled, use Jax Wax Vinyl & Leather Cleaner first. Not for use on Suede. Use on smooth surfaces only. 1. Pour a liberal of product onto a clean toweling. We recommend using a Microfiber Towel – the have excellent cleaning properties and will do a better job. 2. Work into upholstery with a towel or a very soft bristle brush. You don't want to use a stiff brush on leather as it will damage the finish. 3. Wipe off excess product and buff with a soft, clean towel. 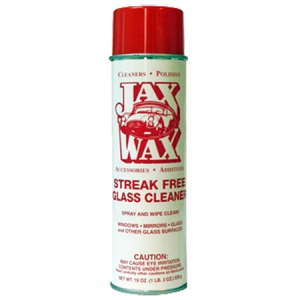 Be the first to review “Jax Wax Leather Magic Cleaner and Conditioner” Click here to cancel reply.